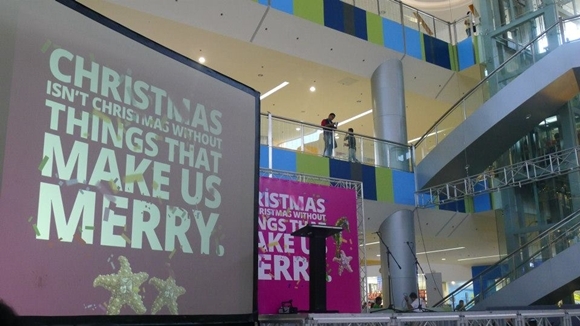 It's Christmas at SM City General Santos! 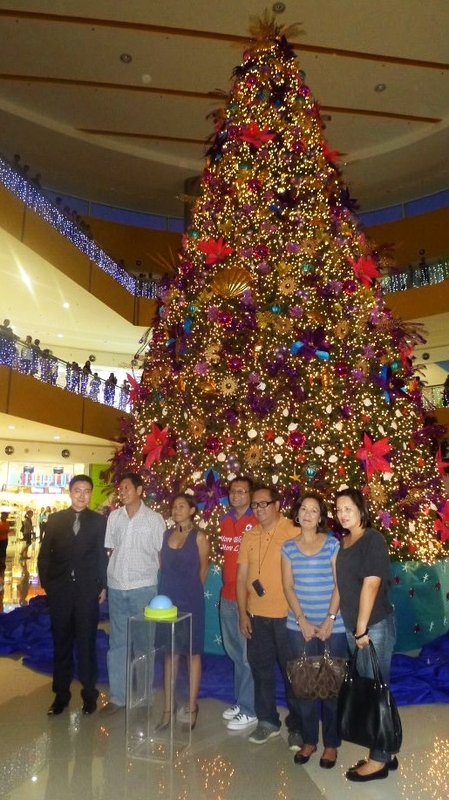 An "under-the-sea" themed Christmas Tree was unveiled last Saturday November 10, 2012 inside the event center of SM City General Santos to officially start their Christmas campaign this year. "Christmas isn't Christmas without things that make us merry." 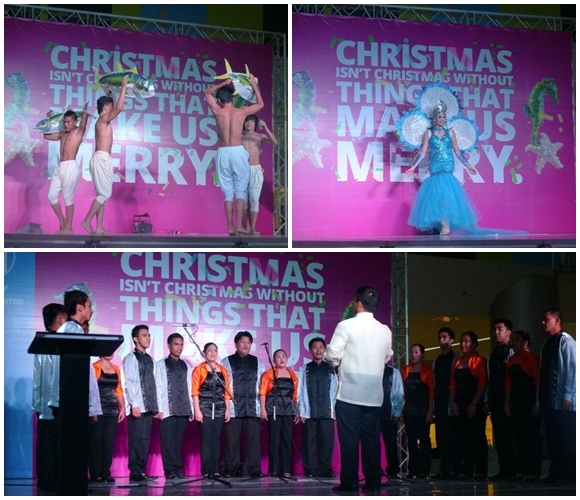 The event started with a doxology by the Dominican Choir volunteers, was then followed by the Christmas Message of SM Supermalls delivered by the Assistant Mall Manager of SM City General Santos, singing of popular Christmas songs by again the Dominican Choir, an "under-the-sea" presentation by Teatro Ambahanon and the parade of Gensan's festival queens. The main highlight and most anticipated part of the event was the lighting of the 30-feet high Christmas Tree and the launching of "Bears of Joy" where mall goers may adopt two (2) cute little teddy bears for only P100 and hang one of the bear on the Christmas Tree which will be donated to charitable institutions together with the proceeds. The event was attended by General Santos City top officials headed by Mayor Darlene Antonino-Custodio and South Cotabato 1st district Representative Pedro Acharon, Jr., mall administrations, members of the media & bloggers and SM City General Santos shoppers.